One of the assignments in my high school photography class was a high contrast photo taken with only natural light, no strobes allowed. The point of the exercise was to teach basic metering techniques. As the morning sunlight fell on K’Ehelyr the I decided to practice this technique to create a moody and uncluttered portrait of her. 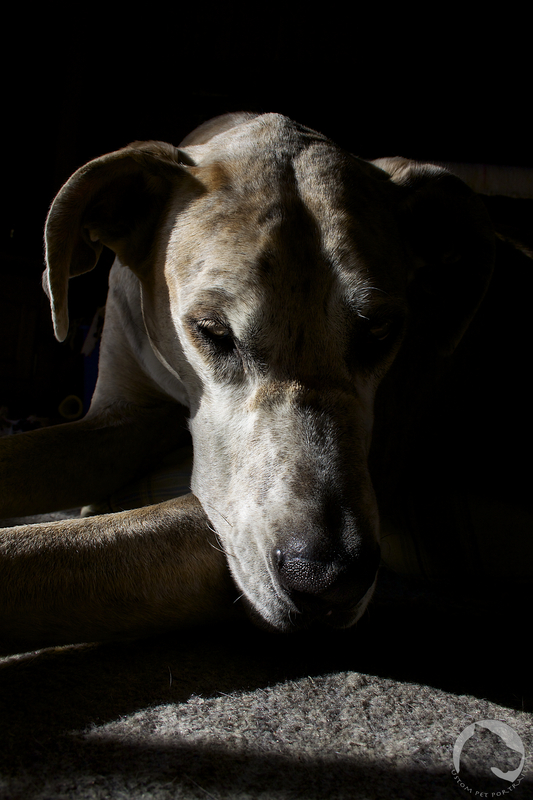 This entry was posted in Great Danes, Pet Photography and tagged Great Dane, pet portraits, photography. Bookmark the permalink.